I recently visited Rancho Santa Ana Botanic Garden in the southern California town of Claremont. My dad, niece and I arrived early on a cool, cloudy morning following an evening of rain which included thunder and lightning...an unusual SoCal event. The garden was having a plant sale so I worried about parking but luckily for us, although maybe not them, there was plenty of space in the lot. We headed down the path and soon came upon what in the spring is a wildflower meadow. We saw only cleared soil...through which a wonderful path made in the shape of a snake slithered! As we continued on we saw lots of cacti and other drought tolerant and native plants...not my usual favorites but quite interesting to see in large plantings. This pretty rock caught my eye...I wonder if anyone else sees what I see in the dark spot? We saw lots of wildlife...a hawk (maybe a sharp-shinned), monarch butterflies, squirrels, lots of warblers and other songbirds... and a cute little baby turtle trying to soak up some sun on a rock when the clouds parted. I actually got a shot of a hummingbird, although when I saw the one my niece got I realized why I might want a better camera. Then again, she is the better photographer, so maybe I'll stick with what I have for now. On our way out I was tempted by several plants at the sale, but the thought of a one gallon cactus as carry-on luggage slowed me down. Seriously, there were several salvias that I might have tried if I could have thought of anywhere I might have an empty spot to fill back home. But for some strange reason my better sense prevailed and I left with only photos and the memory of a quiet, enjoyable walk through a very different garden from those I usually frequent. I often say I garden because I have to…it’s a compulsion or addiction for me. I love working in my garden. I love eating from my garden. I love looking at my garden. taking a break from working in my garden. But just recently I’ve come to understand a bit more about the gift of being a gardener. visiting his sister 2000 miles from his home. He spent 6 days in the Cleveland Clinic, was discharged, flew home to California accompanied by one of my brothers and one of my sisters (thanks Mom and Dad for making sure there were enough of us to handle this!) and immediately admitted to an acute rehab program. We have run the gamut of emotions and fears, been told one thing only to learn another and texted/phoned each other in one week more than we have for 10 years. Right now we are cautiously optimistic that he will eventually return to his normal routine…a routine that includes going from one of our homes to the next fixing what needs fixing and building all kinds of things. My yard alone boasts a fountain he bought and installed, a lamppost in my fern corner, and the banksia arbor, side shed and patio roof, all of which he designed and built. Right now he is, thankfully, physically in good shape. The stroke did not affect any of his motor abilities and his years of hard work have kept him strong. However, he cannot read or write (much) and is understanding about 30% of what is said to him. His speech is confused although improving. What does any of this have to do with being a gardener? I flew home from the weekend at the hospital mentally and physically drained. I’ll be heading back this next weekend with the possibility that we will spend it in his apartment beginning outpatient life. What got me calmed down and back on track was sitting in my garden. Out on the patio, unable to think, I just sat. And in doing so my garden began to calm me. Just being in the place I love to be, watching the birds and cabbage whites, the voices in my head slowed down and I knew that the patience a gardener learns was going to figure into the next few months. I’m glad I have my garden to come home to and I’m hoping my dad will be here helping out again before long. Or maybe just enjoying what he’s helped me create…a peaceful place to sit and be calmed…and maybe eat a freshly picked snack. What would he see if he were able to be here today? Cool nights have not stopped the blooms and I started making a list. But after trying to focus I gave up and decided to just let it be. Instead, here are some photos I took. I hope to be able to pull a list together…next month! 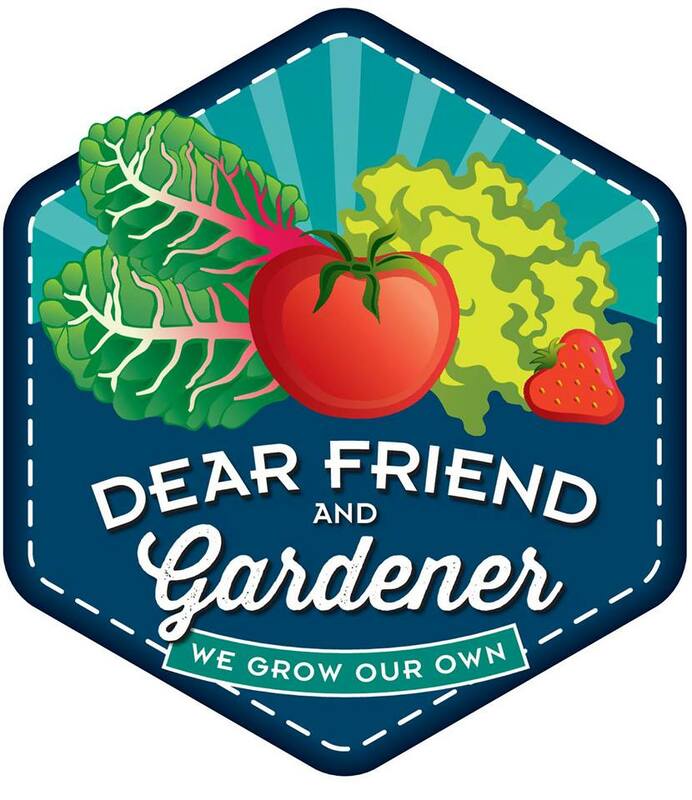 To see lots of actual lists visit Carol at May Dreams Gardens who each month invites us to join in her Garden Blogger Bloom Day extravaganza! How can it be the 15th already? 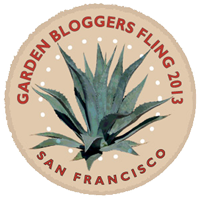 But the calendar says it is and so Carol at May Dreams Gardens is hosting Garden Bloggers' Bloom Day once again! To see blooms from near and far visit May Dreams Gardens and indulge yourself! In Davis we’re enjoying a bit of a welcome cool down…although we’re being threatened with more heat to come soon. There are lots of blooms but I’m having trouble finding anything new and exciting…most of the bloomers are plants that just keep turning out the blooms through much of the year…abelia, society garlic, bush mallow, abutilon, lavenders among them. The only new bloomer is one giant liriope. Just before we left for a visit to the Sweet Granddaughter and her parents I noticed the tomatoes were beginning to ripen. I picked all the ripe (and almost ripe) fruit, made some tomato marmalade before we left, and took the rest with us on our journey. We left some with my dad along the way and ate the rest in San Diego. I'm not sure if they were no longer considered local (!) but there was no gas used in their transport that wasn't going to be used anyway so I think it's a wash at worst and negative energy cost at best. Having been gone six days I was anxious to see what had happened in the garden while we were gone and the Gardener Trainee was in charge. I'm happy to report that the GT passed his test with excellent marks...no plants were sidelined and the tomato plants are once more full of ripening fruit. This is the reward of the impulsive, greedy, cheapskate gardener. I started seeds in the spring for all the varieties I decided to grow this year. That would be Sweet 100, Sungold, Mule Team, Costoluto Genovese, and San Marzano. Well, and there were the left over Brandywine seeds from last year that I wouldn't have bought again but since they were leftover I really thought I should start some. Then I was at the farmers market and saw beautiful plants ...and having been wondering about the possibility of nematodes in the garden it occurred to me that I should get a good resistant variety to test drive. Which made me get too close to the pretty plants at which point I had to buy a Sausage as well as the nematode defying Big Beef. Not long after that I realized I had not gotten seeds for Early Girl...my 'safety' tomato of choice. So I had to pick one up. Now my tomato plant collection was complete! Until I went to the big open house at UCDavis where they were giving out free starts. And since I was there with my husband and son I made them get in line and came home with another Sweet 100, Celebrity and Shady Lady. So that is the recipe for what would be called too many tomatoes if such a thing were possible. I guess I should feel lucky...so far the Brandywine and Mule Team have not contributed one fruit. But in Davis the tomato season is still young...maybe they'll get in the swing of things and add to the fun. I may need to look for that recipe for oven dried tomatoes that I saw on line! Leaving San Diego to drive home we got on I-5 ...or as the southern Californians would say "the 5". I can always tell someone newly arrived from the southern reaches of the state...every freeway begins with "the", I guess to differentiate it from imposters. And where does the "the" fall off? Maybe once you cross the Tehachapis and descend into the valley? I can tell you that the trip through the Tehachapis is cleansing in a different sense. As I said, we got on "the" 5 and headed north. The Pacific Ocean was to our left for a number of miles but soon we encountered heavier traffic and could see the cities crowding together. Passing Disneyland (there's the Matterhorn!) we headed toward the actual city of Los Angeles although it is difficult to say where LA begins and all the rest packed in around it ends. Reaching the beginning of the climb up into the mountains I could feel the mental weight falling off...trying to explain it to The Driver the best I could come up with was "the whole feng shui is awful". Does a freeway or city have feng shui? Anyway, up over the mountains, down the Grapevine and into the valley. This is much better! Everyone can use a little open space. Trying to pay attention to what I've seen too many times to count I decided to get a few photos of common sights on what I call I-5. This is what miles and miles of the valley look like this time of year. No rain equals desert...dry soil, dry vegetation, tumbleweeds in the making. Off in the distance you see swaths of green. Irrigated fields up next to desert are the norm here. Fields of cotton, grapes, lots of almonds and tomatoes...all growing here to feed and clothe the nation. Speaking of tomatoes...that truck up on top is one of many loaded with processing tomatoes and heading to canneries. Another common sight, one I see each summer less than a mile from home, is the tomato spill. You see this more often on corners but this spill must have been a truck stopping on the side of the freeway a little too quickly. As we closed in on the last 200 miles we met up with the 444 mile long California Aqueduct...driving north as water flowed south. I think I'll refrain from commenting on the implications of all that Northern California water heading south...Garden Rant has already explained why they need it.